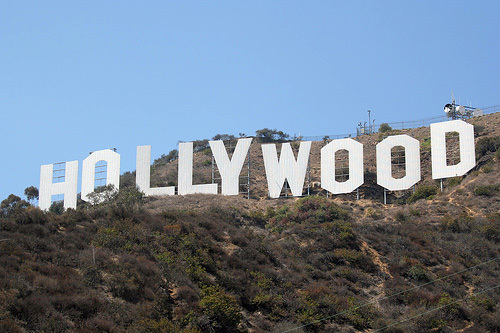 In American culture, one of the biggest idols that has consumed people’s hearts and minds is the god of entertainment. We worship our entertainment and look to it to make us happy, fulfilled and alive. It consumes our time, our money, our devotion, our thoughts and our hearts. Television, computers, smart phones, i-pods and wii’s bring the idol of entertainment right into the privacy of our own homes so it can be adored and followed every single day. Sports has also engulfed our culture and we worship this god of entertainment with fanaticism and undying devotion. So many of our lives revolve around our favorite sports team and we love them with such adoration that our moods, our happiness, and our disposition is determined by whether they are winning or losing. We even know more about our famous star’s life then we know about God and the Bible. Our culture has become distorted by its obsession with fame and entertainment. I am not saying it is wrong to watch television or go to a movie or be a fan of a sports team, but everything must be put in perspective to your relationship with God. Is “American Idol” more important to you than your relationship with God? Is a sports team more your favorite and your beloved than God is? Would you rather learn about the gossip surrounding Hollywood then the awesome truths of God’s heart. Who would you rather spend time with? Who would you rather devote your heart to? Who is more important and worthy of your heart? Unfortunately in modern day Christianity the gospel is being pushed aside for entertainment. As Leonard Ravenhill said, “We believers are lean, lazy, luxury-loving, loveless and lacking…Christ is now wounded in the house of his friends.” We want to be entertained on Sunday instead of instructed by the Holy Scriptures; we want to hear music that sounds like the secular music of the day that often has little Word of God in its lyrics instead of a sermon of fire that rightly divides the word of truth. We leave church in a hurry because we want to be entertained by the football game that starts in an hour. Preachers fear that they will lose their congregation if they don’t entertain them. Sermons are watered down so they don’t offend anyone, but Jesus Christ offended everybody as the sword of truth disrupts the systems of the world including religion. The god of entertainment has sunk its idolatrous roots into the church and each of us should pray and examine our hearts that this idol is not sitting on the throne of our hearts. If this is true (and I believe it is) then the present inordinate attachment to every form of entertainment is evidence that the inner life of modern man is in serious decline. The average man has no central core of moral assurance, no spring within his own breast, no inner strength to place him above the need for repeated psychological shots to give him the courage to go on living. He has become a parasite on the world, drawing his life from his environment unable to live a day apart from the stimulation which society affords him. For centuries the Church stood solidly against every form of worldly entertainment, recognizing it for what it was – a device for wasting time, a refuge from the disturbing voice of conscience, a scheme to divert attention from moral accountability. For this she got herself abused roundly by the sons of this world. But of late she has become tired of the abuse and has given over the struggle. She appears to have decided that if she cannot conquer the great god Entertainment she may as well join forces with him and make what use she can of his powers. So today we have the astonishing spectacle of millions of dollars being poured into the unholy job of providing earthly entertainment for the so-called sons of heaven. Religious entertainment is in many places rapidly crowding out the serious things of God. Many churches these days have become little more than poor theatres where fifth -rate “producers” peddle their shoddy wares with the full approval of evangelical leaders who can even quote a holy text in defense of their delinquency. And hardly a man dares raise his voice against it. This entry was posted in Inspirational Messages and tagged america, christian entertainment, christian music, consumed with entertainment, entertainment, entertainment idols in church, god of entertainment, hollywood, idol of entertainment, root of the righteous. Bookmark the permalink. thank you so much for this article about the god of entertainment. Years ago, I wrote a song called Idols which addresses the same issue plus other idols, too. I was a singer working towards Broadway, when God got ahold of my heart. He has made Himself real to me through Christ. I really appreciated what you have shared. Blessings. Tim, Thank you for your response. I need to share more. Several years ago, I was given a phrase that I am writing about.. It is “sacred things in the toybox”. I have penned a song with this title, as well. I have seen, firsthand, the foolishness that is called worship. I even know of a large church that uses the same lighting found in secular rock concerts appealing to their 10,000+ people. My own background is that of a concert lyric soprano having performed with symphony chamber groups, in musical theatre and have always sung the gospel and many other styles, too. Thanks so much Janis for sharing your heart. You are so right that so often Christians want to be entertained instead of ministered to and worship in the church so often falls inadequately short as churches often copy the things of the world instead of following the leading of the Spirit of God. A lot OF Christian music follows the pattern of this world and is no different than secular and has no power to transform the heart. God is working with and in you to produce a beautiful song from your heart. Continue to allow the Lord to glorify Himself thru your music. Your music is beautiful and truly a wonderful gift from God. I pray God continues to inspire you and thanks again for sharing your inspirational story. Thank you for this article, Blessings to you.